Your beautiful garden companions and their pond need some special attention before winter arrives. Koi hibernate over the winter, but there are a few things you can do to ensure they’ll be safe and as healthy as possible come spring. 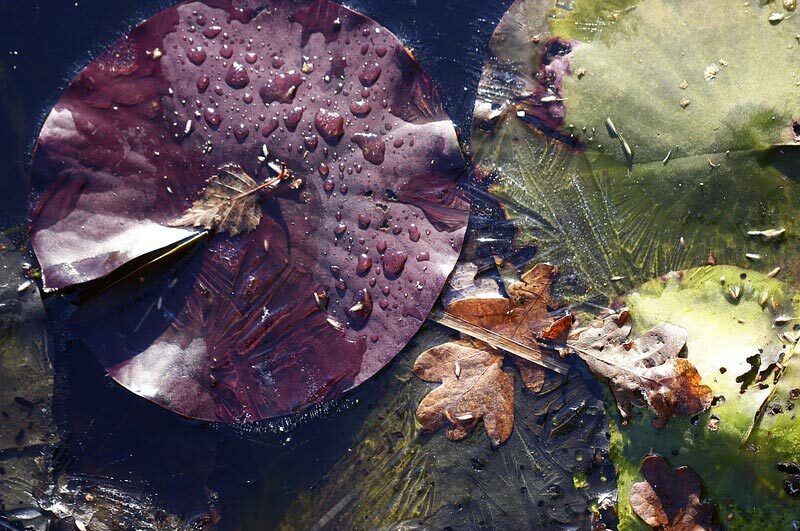 The type of winter preparation your pond needs partly depends on how cold it will get. If your winters are mild, koi can survive in a pond that is three feet deep, assuming there is enough room at that depth for all of your fish. If your winter conditions are likely to drop below zero, you’ll need a pond at least five feet deep. You’ll also have to turn off most of your pond equipment, to prevent water from freezing in the pipes or gears. If ice forms in the mechanical parts or pipes, they could break. If you don’t have a suitable pond for your koi, you will have to bring them indoors or install a pond heater to maintain above-freezing temperatures. 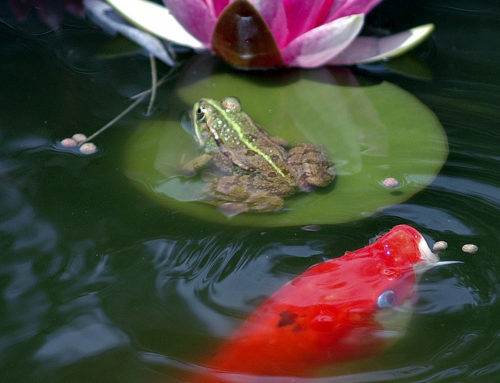 While koi can handle cold temperatures, they cannot handle being frozen, like some frogs can. Your koi pond is more susceptible to bad bacteria over the winter, so it’s critical to clean it out thoroughly in late fall. 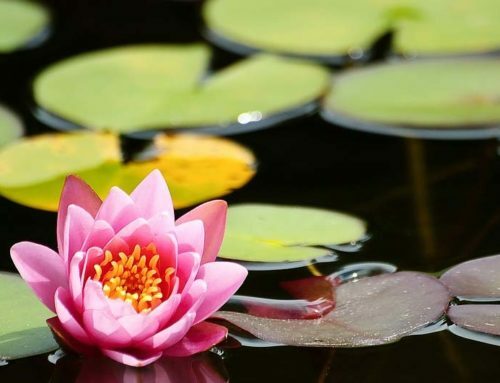 Remove debris from the pond by vacuuming, raking, or using koi-safe chemical treatments. If you find your pond is hard to keep clean in the late fall, you can install pond nets to keep dead branches and falling leaves out. 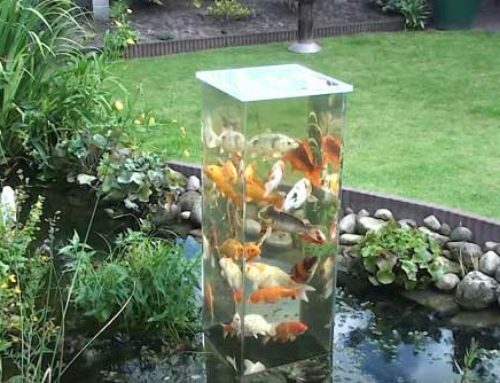 This can also help protect your koi from predators. Pond pH is also key for koi. Check that the pH is balanced and adjust as necessary before winter arrives, as frozen ice will make it a challenge for pH stabilizers to circulate through the water. It’s also wise to add beneficial bacteria to your pond in the fall. These friendly microscopic creatures slow down over the winter, just like the koi do. But, you’ll see their true benefit in the spring. As soon as the temperatures rise, the bacteria will prevent that early spring-time algae mess. Once the temperature consistently reaches 55ºF (13°C) the koi won’t eat, so you should stop feeding them to avoid adding debris to the pond. At 50ºF (10°C) the koi will hibernate. You’ll see them slowly moving at the very bottom of the pond, where it’s warmer. Over winter the koi won’t eat, instead, they will dip into their fat stores to survive. Any koi fish that were underweight in the fall will struggle over the winter. You can feed them carbohydrate-rich food in the later summer to plump them up, but you’ll notice their appetite will drop off in the fall. 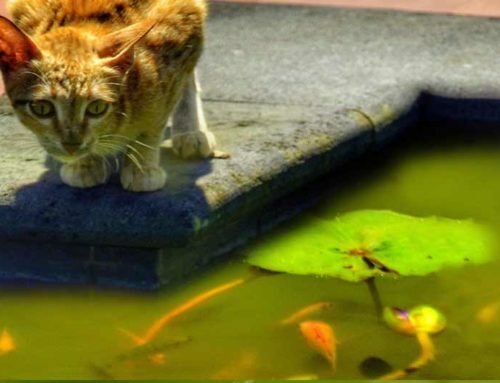 So, if you reach fall and have an underweight koi, you may want to contact a vet to see what can be done. Koi need less oxygen in the winter than in the summer, but they still need some. Normally, oxygen would enter the water at the surface, especially from waterfalls. However, if your koi pond is completely frozen over, oxygen can no longer enter. Keeping a portion of the pond’s surface liquid is important. You can do this in two ways, either by using a de-icer that adds a bit of heat to the pond, or by using a floating de-icer that bounces to prevent ice from forming without the use of electricity. In very cold climates, a floater may not be enough. While you want a small hole in the ice, you shouldn’t remove it all. Ice will help regulate the water temperature in the spring so that the koi don’t leave their hibernation until spring has truly arrived. Also, if you normally rely on a waterfall or other moving water feature to oxygenate the water, you should still turn it off in the winter. They decrease the temperature of the pond and make it harder for the koi to survive. Instead, you can rely on an air pump to add air back to the water. 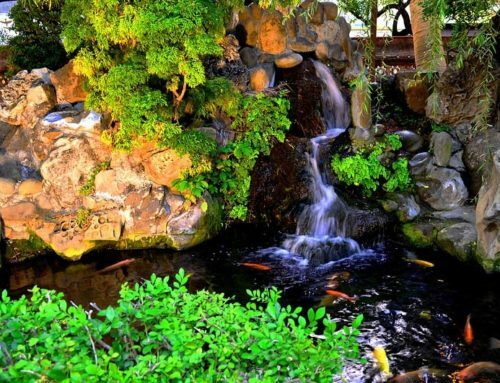 With these simple preparations, your koi pond will be properly winterized, and you’ll be ready to witness one of the coolest fish survival strategies, hibernation!